Lawn care service: lawn mowing, fertilizing, pest control & more! A New Image Landscape’s complete revitalization, new lawn installation, grading service, water diversion and drainage installation is completed with our specialized equipment. Ask about a rejuvenating aeration and over seeding treatment in spring or fall. Weekly maintenance programs are available spring through fall. We offer customized fertilization programs with 4, 5, or 6-step fertilization programs as well as Grub Control and Tree/Shrub applications to fit your needs. Lab-tested soil analysis is also available for a fee. Our company and technicians hold current licensing by the State of Ohio Department of Agriculture. Be sure to read about our automatic lawn sprinkler system installation service. We’ve been providing professional lawn care in Berea, Brecksville, Broadview Heights, Brunswick, Brunswick Hills, Columbia Station, Hinckley, Independence, Medina, Middleburg Heights, North Olmsted, North Ridgeville, North Royalton, Olmsted Falls/Township, Parma, Richfield, Seven Hills, Strongsville, Valley City, and Westlake, Ohio since 2001. With A New Image Landscape’s proper professional lawn care service, you will have more time to devote to your job and family, and the cost for new equipment to maintain your lawn with will become a thing of the past. A New Image Landscape is highly rated, reputable, dependable and professional. A New Image Landscape is your certified SYNLawn® installer in the the southwest Cleveland area! SYNLawn® products provide artificial grass solutions for lawns, landscapes, pet areas, playground areas, commercial rooftops, backyard putting greens and hard-to-access courtyard areas – all with the look and feel of natural grass! 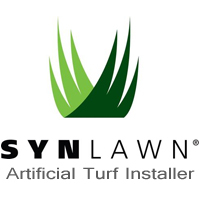 SYNLawn® leads the way in the artificial grass industry manufacturing, installing and warranting the best in synthetic landscaping grass available. While every lawn service project is different depending on the size of the job, we offer very competitive pricing for all lawn services. Call us today and we will make arrangements to visit your site and give you an accurate price quote.